The historic classic hotel Fujiya Hotel was built in 1878 by Yamaguchi Sennosuke. Using his experiences while living in America, he opened the hotel to cater to visiting foreigners, and it was visited by many famous foreigners and left many marks on its history. 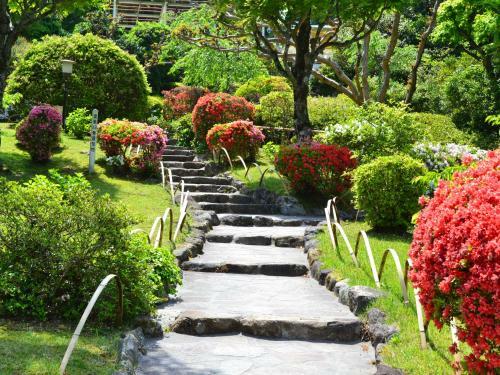 This time we show you how to enjoy Fujiya Hotel. The historic archive room is exciting! The second president Yamaguchi Seizo’s mustache was 70cm long! Fujiya Hotel which opened in the Meiji Period has many customizations to accommodate non-Japanese in post-war Japan during the occupation. The building itself retains the traditional feel while being added onto many times, currently there is the main building, western building, Hanagoten, and Forest building, each of which has a specific purpose. The mustached statue above is of the de facto second president of the hotel Yamaguchi Seizo. With having such a magnificent mustache he decided to create the International Mustache Club as a way to have international exchange. To join you had to have facial hair that was longer than 5cm long apparently. Mr. Seizo’s ‘stache was at one point 70cm wide from one point to the other. It’s said that he treasured it so much that he even used a mustache cap when going to sleep. At the archive room in the B1 floor of the Hanagoten building, there are pictures and furnishings from when the hotel was built and is worth taking a look at. 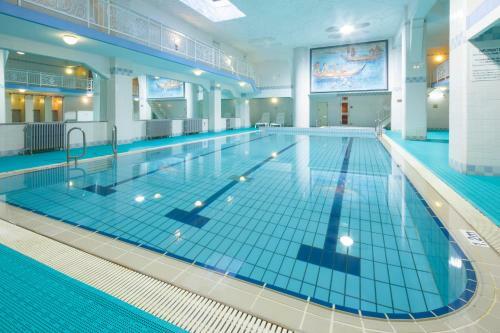 There are many different stay package plans at the Fujiya Hotel such as a day trip, lunch, and a sleep plan. Check the link in the memo section below for more details. At the Fujiya Hotel, there are carvings all over the place. The first you will notice is the long tailed crane pictured above. On a pillar in the lobby the extremely long tail is impressive to say the least. When Helen Keller first visited Japan in 1937, she stayed at the Fujiya Hotel. When she did she was enamored by a long tail crane which was kept by a neighbor. After the war when she visited again the crane wasn’t around anymore which devastated her. When the family head saw this, he had them create the carving so she could feel it on the pillar the next time she visited. Although she never made a third journey his sentiment must have reached her. Around the building there are other carvings such as a sleeping cat, a frog, and a wall full of fish that are just waiting to be found by guests of the hotel. It is a fun to go hunting for these subtle works of art. There are so many hallways in and between the buildings it might be easy to get lost. Check out the link below at Fujiya Hotel Facility Guide in the memo section. The guest plan to stay in the Chaplin’s Room! Other than Helen Keller, other famous people such as John Lennon, Charlie Chaplin has stayed. Pictured above is the room that Chaplin stayed at, the Superior Twin Room which is a spacious 47sqm. Apparently in 1932 when Chaplin visited the Fujiya Hotel he stayed in Room 45, played tennis at the tennis court, explored the alleys and gardens, enjoying all that is offered here. 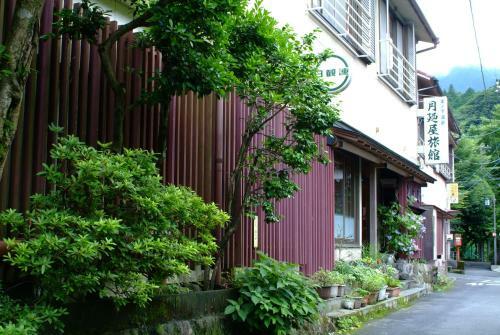 The alley behind the Fujiya Hotel is known to this day as Chaplin’s Walkway. The trademark of Chaplin, his walking stick, baggy pants, tight jacket, small hat, and oversized shoes are what come to mind, and on the walls of this room are his favorite hat and cane. For more details on this guest plan which any Chaplin fan would love, check the memo section for Chaplin’s Room Guest Plan. You can enjoy some unique menus at the many restaurants and bars such as The Fujiya (French), Kikkaso (Japanese), Wisteria (Western), Victoria (bar), and the Orchid (tea lounge) at the Fujiya Hotel. 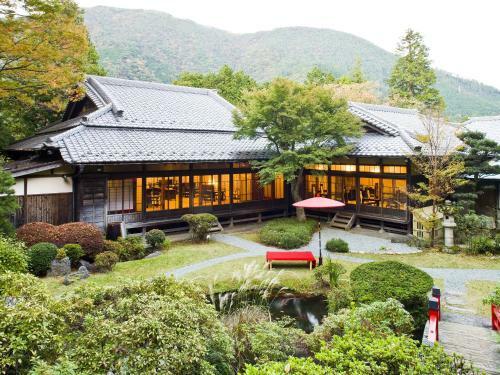 Amongst those The Fujiya, which was built in 1930 modelled after the Nikko Toushogu Main Shrine and a registered cultural heritage site is stunning with its coffered ceiling painted with alpine plants, and birds. Here you can revel in traditional French cuisine in a sublime atmosphere. The above picture is of the apple pie ala mode at the Orchid tea lounge. It is a dish with a recipe which has been handed down over generations. The experience of eating sweets while overlooking the hotels prize garden is spectacular. A drink at the bar Victoria is highly recommended as well. It was once a well-loved billiards hall and retains that history in its interior with cues and ceiling and wall decorations as well as the chairs which were designed for taller foreign clientele. For information on restaurants check the link below about Fujiya Hotel Restaurants & Bars. So what do you think of this iconic classic hotel? Although taken over during the occupation it has survived and thrived as a hotel. Although resuming normal operations in 1954 because of the war in the pacific and the occupation there has been a 10 year blank of it not operating, but the owner and the staff have all rallied to restore it to glory. 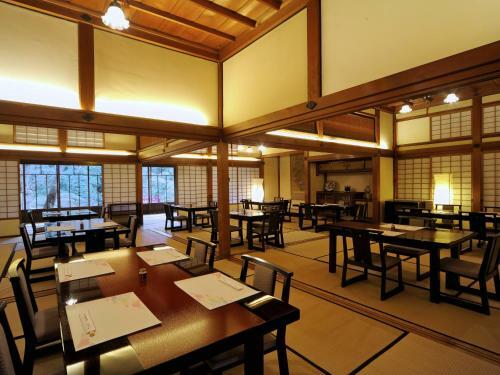 That strong sentiment has turned this historic Fujiya Hotel into a spectacular destination. If you want to get in touch with a part of Japan’s history you should definitely make a trip here.